If you’re interested in seeing a solid set of SD70ACe’s or ET44AC’s, you should probably move on and I apologize for misleading you. 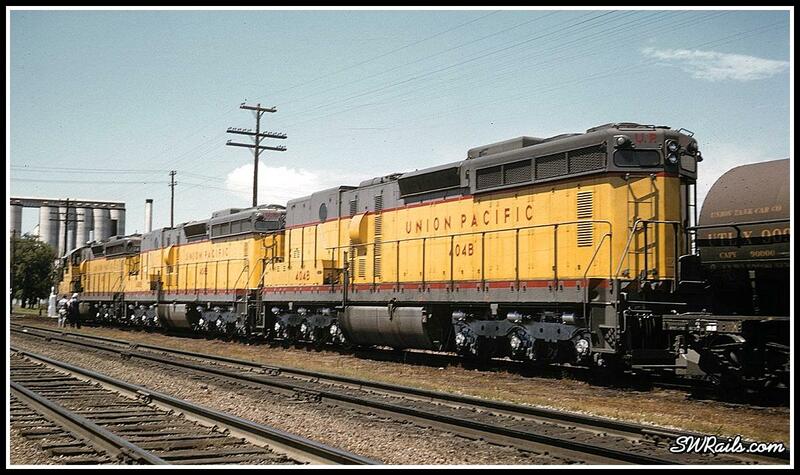 The new power I’m referring to isn’t from 2016, but from the summer of 1959 when the UP was taking delivery of 75 SD24’s. This was back when the UP was a big proponent of cabless diesels. Accordingly, 45 of the 75 were B units. We’re in the little town of Schuyler, Nebraska, about 70 miles west of Omaha. UP had a small yard, or more correctly, a couple of sidings here. 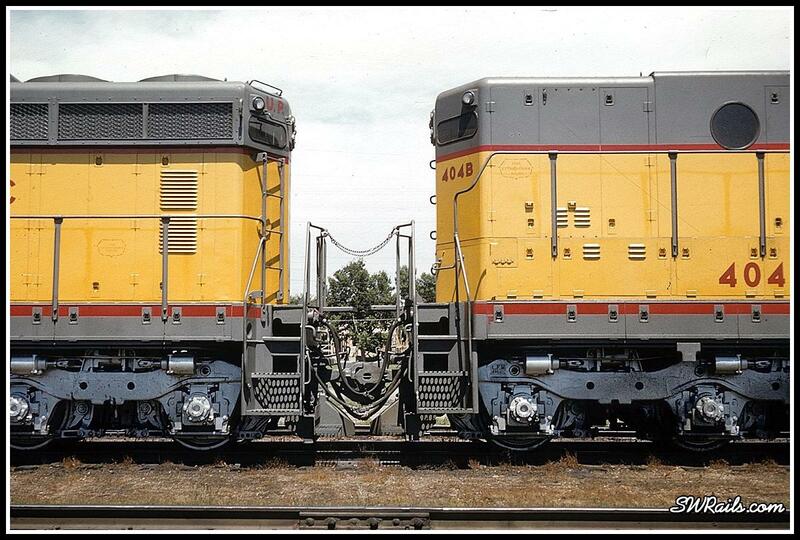 Two crewmen are on the ground alongside the brand-new A-B-B set of SD24’s that’s been assigned to their manifest train. This angle clearly shows a feature unique to the SD24, the rounded equipment blower bulge behind the cab. Subsequent EMD models had blower bulges that extended to the walkway. I really like this view that shows all of the connections between the two trailing units. This last shot shows the entire consist nicely, along with an example of the official Nebraska state structure, the grain elevator. 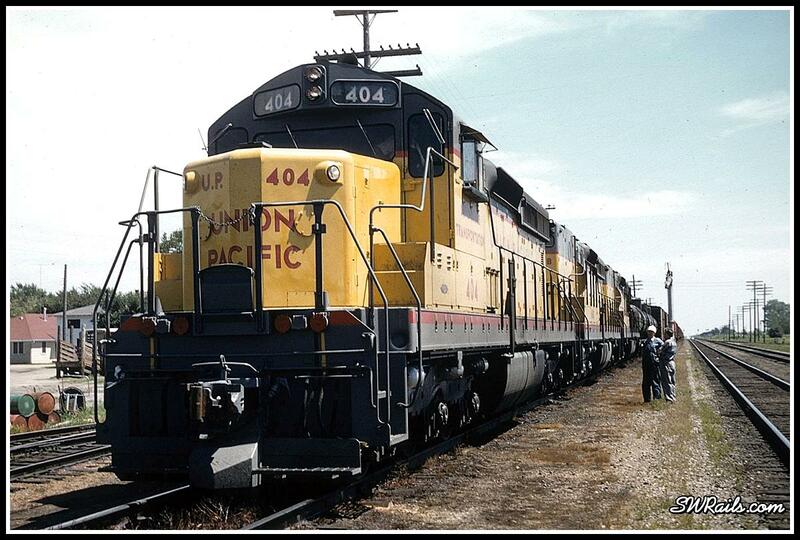 As I was writing this post, I was thinking that the SD24 is an older diesel. Then it dawned upon me that these images were captured 57 years ago, making the SD24 officially ancient. What does that make me? Some great shots, I have several SD24’s but no cables units. Sitting here thinking about converting one of the cabbed units and wondering what kind of work I would need to do to accomplish the task. Thanks, Robert. Really enjoying your pics. Thanks for the nice look back at the SD24’s. I am pretty tired of all of the current equipment. 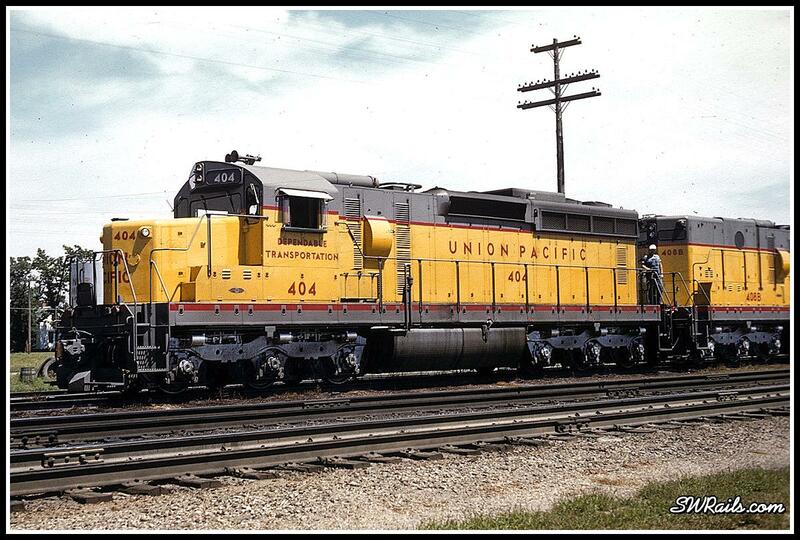 Cool, guess the ATSF was a more recent user of “B” units from factory, other railroads used standard cab units with out control stands (Such as the SP)..
Not disappointed, was expecting the usual fine image of contemporary power, but found this treasure instead. And yes, welcome to the ancient club. In the 70’s I spliced the cab of a Tyco GP20 onto the new Atlas high nose SD24 to create these. Thanks for sharing.